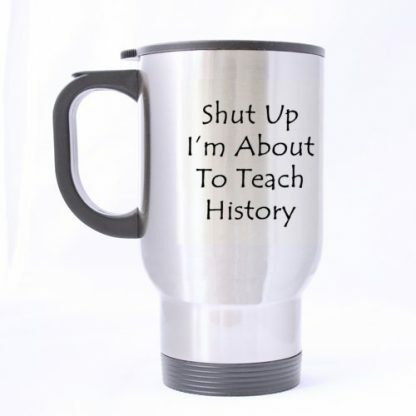 A coffee/tea mug that speaks exactly what a history teacher has in mind? Yes, it exists and here it is. It’s a travel drink ware that’s easy to hold, bring about, and guaranteed spill proof and non-fading. 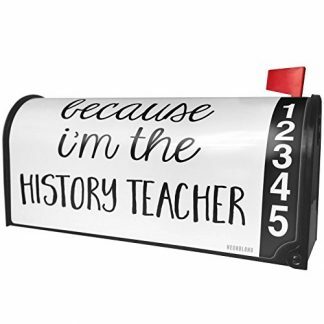 It’s an incredible gift idea for history teachers who appreciate words and humor. Perfect for those who are always on the go. This travel coffee/tea mug is what you need for a convenient-to-carry drinking ware for an all-day re-fueling coffee, tea, or water. 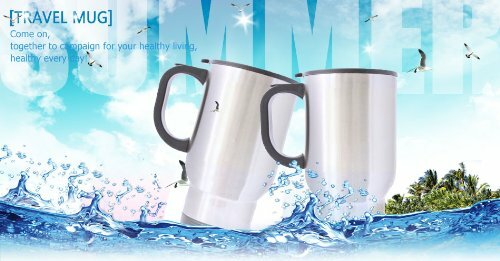 The stainless steel body of this travel mug is durable. 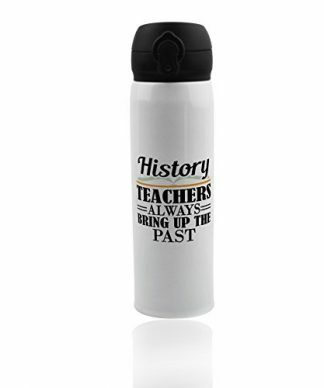 The print on one side “Shut up, I’m about to teach history” is another reason to this travel mug is the thing for a teacher. It’s concise and is exactly what a history teacher would love to tell his or her rowdy students. It’s not easy being a history teacher, aside from making sure that students understand their lessons, they have to make their lessons relevant and relatable to the present time. They also got tons of work to do, and countless nights to burn the midnight oil over their class preparations. This is where this stainless steel ready-to-go coffee/tea mug comes in handy. They can bring along their coffee, tea, or even water any where they go and any time they want, to keep their bodies hydrated, in balance, and active! 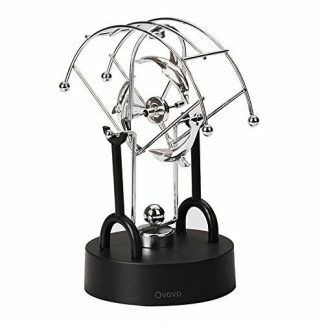 Sure, you understand that morning coffee or tea is just not enough to keep things going throughout the day. It’s guaranteed spill-proof so no worries against stained uniforms and wet papers. The funny statement print is even appropriate to bring in to classes and let the students read, so they know not to make a sound when classes are starting (if that actually works). 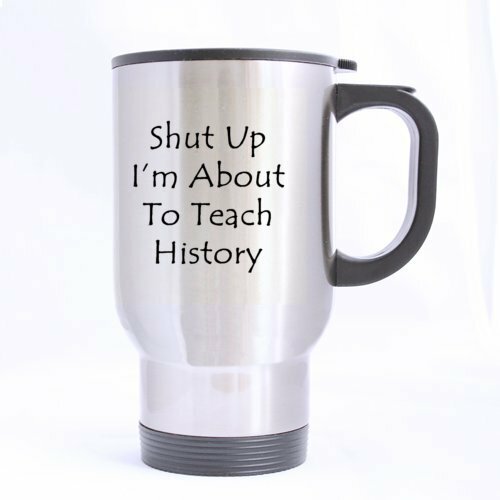 But really, this funny piece of stainless mug is a precious gift to give to a history teacher who appreciates laughter and good humor, as much as you do.